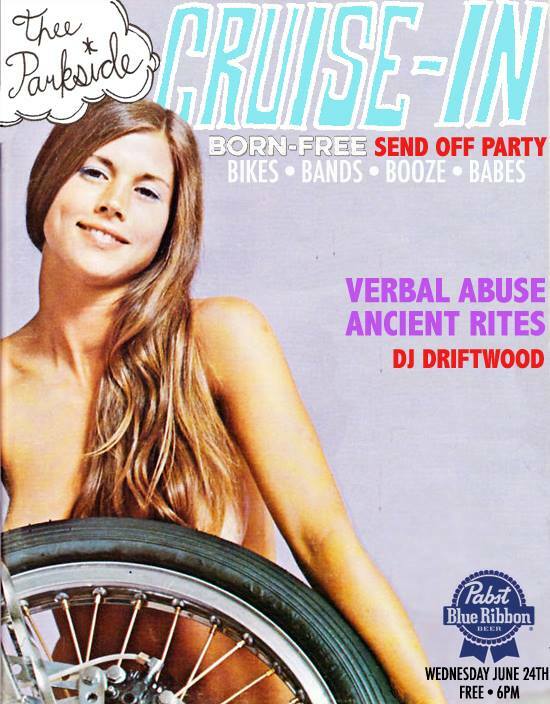 Our favorite Rock N Roll bar in San Francisco has been doing monthly bike nights. On June 24th they will be having a send off party for everyone heading out to Born-Free. If you’re close by or headed south stop by! Special thanks to Pabst! This entry was posted in $25 KNUCKLEHEAD, 1946 KNUCKLEHEAD CHOPPER, 1977 LOWRIDER, 2015 LOWRIDER, 4q conditioning, 4q support, Uncategorized. Bookmark the permalink.